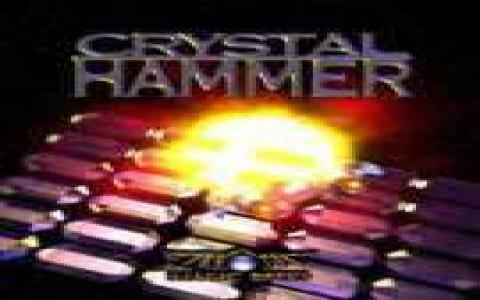 Crystal Hammer is unapologetic about its inspiration source: it offers you the pallet, the pellet and the bricks (which, alright, in this game kind of look like crystals!) and you have to use the first to hit the second to destroy the third! Yeah, it's the same recipe that can make a 5 minutes break feel less empty, or it can be the kind of recipe that you obsess over for hours; that's your choice. 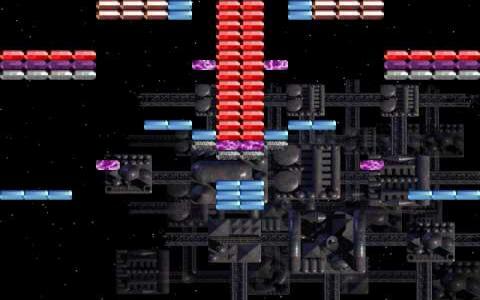 Luckily, the game makes any type of play style feel alright; Crystal Hammer contains dozens upon dozens of levels, which cherry on top style come packaged with their very own background, generally inspired by a space body or some other space theme. 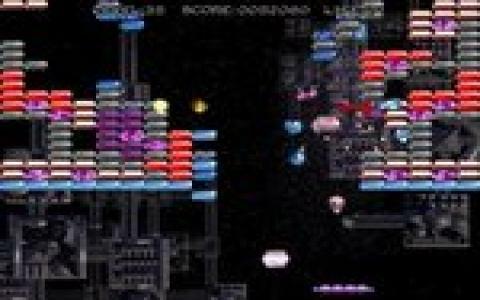 In terms of brick diversity there are quite a few: there are the trigger bricks, which turn indestructible bricks into destructible ones, there are the double hit to destroy bricks, the vanilla one shot one kill bricks, the donor bricks, which send items your way, some good some not as good and yeah, levels that make use of all these bricks in more or less original ways. So, if you want a game that is a modicum more diverse than Peggle, here you go, a nice, diverse Breakout clone for your consideration!